The stories always sound suspicious and too good to be true — especially to television viewers who (should) know better — which is partly why it only takes a simple web search and a phone call or two before Nev and Max have evidence that the online paramour is likely a fake. Then they take the episode’s subject to meet the person offline, where they all learn that the person is, indeed, not who he/she said he/she was. In some cases, men turn out to be women. In other cases, models turn out to be less attractive and/or overweight people. In one case, the catfish was really a pre-op transsexual. But it’s the same basic story in every episode. Alright, alright, fine. Alert the media. People lie on the internet. What’s the big deal? Is this just another show where we make fun of less sophisticated people? The big deal is just how engaging — downright fascinating, actually — Catfish ends up being, despite its not so newsworthy premise. Yes, the episodes can be rather predictable — and laughably, absurdly so. For example, there’s the one in which Trina (full nickname “Trina the Natural”), a good looking exotic dancer in Maryland, thinks she’s been talking with a twentysomething male exotic dancer named Scorpio, who has two kids and lives in Atlanta. She’s heartbroken when she learns he’s really a bigger guy named Lee who is in his early 30s, has four kids, and also lives in Maryland. Say it ain’t so! Don’t dismiss the show as a celebration of schadenfreude, though. For one thing, it’s clearly made by some smart, talented filmmakers. Yes, Nev and Max at times are a bit too cool for school, and there’s maybe a bit too much of the “we’re so media-savvy with all of our cameras!” thing, but the show is interesting to watch visually, and the guys bring some needed levity, perspective, and level-headedness to what are at times, some heated and intense emotional scenes. Seriously. Most episodes include a sense of self-inflicted sadness and regret. The catfish realizes he/she did something wrong and feels bad because the “relationship” that’s been built could, potentially, now be over — and it’s all his/her own fault. But other times, there’s anger, as in the show’s first episode, when a cute blonde southern girl named Sunny learns the male model she thought she was close to marrying (despite never meeting) is actually a girl named Chelsea. Sunny tells her that if the cameras weren’t there, “I would take you out like none other.” Chelsea’s response? “I’m twice your size.” Look out. 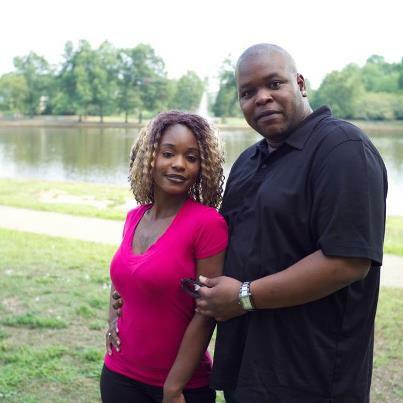 Sometimes the catfish has less than genuine intentions — as in the episode where a guy named Mike turns out to be a girl named Mhissy, who had a score to settle with the girl she was screwing with. Each episode, we learn that the catfish is a person with genuine issues, whether it’s a need to get over bullying, a lack of self-confidence, or something else. Nev and Max get them to open up, and the fakers end up earning your sympathy too. In catching these people in a lie and forcing them to meet the people they duped, then deal with the very real consequences of their deception and the issues they’d been trying to cover over, Nev and Max help them to start moving on. They also shine a light on an all-too-common phenomenon that sites like Facebook enable: That the more information we provide about ourselves (photos, etc. ), the easier it is for others — people we don’t even know — to use that info for their own purposes. And the more comfortable we are with sharing so much, the more willing we are to believe others who say they’re being just as open and honest. The internet provides a simultaneous sense of anonymity and connection, and that allows people to hide behind a screen, and develop intense relationships like the ones seen on the show. As someone who has made friends online (on both Twitter and in AOL chat rooms), I can empathize with some of these people. Of course, I’d like to think I’m much smarter about it all than the people on the show. For example, I have limits on what I share and who I share it with, I don’t connect with people on Facebook who I don’t actually know, and I have a healthy sense of skepticism that would lead me to do my own fact-check if I met someone and his/her story didn’t seem legit. All of that has served me well. Remember: It’s not just these unsophisticated folks who get duped. Nev is a smart guy from New York City, and even he fell for someone else’s fake story. In the movie Catfish, Nev eventually became friends with the person who duped him. Likewise, in the show, he and Max try to get the two people to find some common ground, and to understand the motives and hurt feelings involved. In many cases, but not all, they’re successful (or at least, that’s what the show wants us to believe). For their efforts, Nev and Max’s show was recently renewed for a second season. Of course, with Catfish’s popularity, there’s a chance that it could turn into a more staged and less authentic program. Or worse, that Facebook could become flooded with even more fake profiles, and abuse/thievery of shared content could become more widespread. These early episodes show just how hard it is to fake “real” — when smart people are involved, anyway. That said, given the people featured on the show, and its target audience, I think Catfish has a solid future ahead of it. 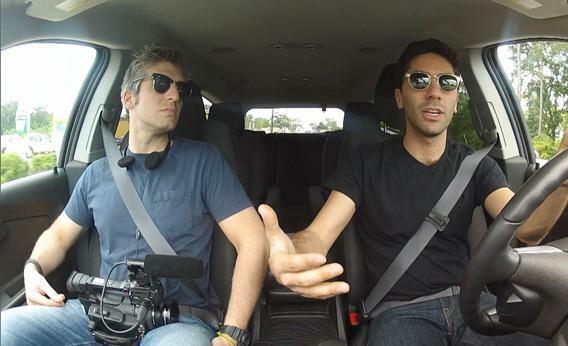 Either way, for now, like the movie that inspired it, Catfish the show is a fascinating look at a social phenomenon. I look forward to watching future episodes. Have you been watching Catfish? What do you think of it? Share your thoughts in the comments section below. I’m still skeptical/cynical…but I also understand how someone can be so desperate for love (or something along those lines) that they’d just about fall for anything. So…maybe more conflicted than skeptical/cynical. Just another way to cash in on the already planned and carefully executed catfish movie. This is just another way to make extra cash, these people on this show are either set up by them, easy to do, just be be fake catfish themselves and then interview them about what happened , just like he claimed happened to him. Made alot of money and obviously is still making more. How easy it is to manipulate the internet and especially facebook. I appreciate your perspective, Helena. But I do think the emotions on the show are often too real to be faked (once the illusion is dropped, that is).